This Double Toilet Roll Holder has a chrome finish. The Toilet Roll Holder is suitable for PDVP503, TR320c and SPD538 Toilet Rolls. Soft white toilet paper on a roll containing a total of 200 tear-off sheets. This toilet paper is designed to suit lower budgets whilst at the same time maintaining a high quality product offering good absorbency and comfort, and also offering a strength which is more than adequate. Each case contains 36 x 200 sheet toilet rolls in a hygienic shrink-wrapped package. 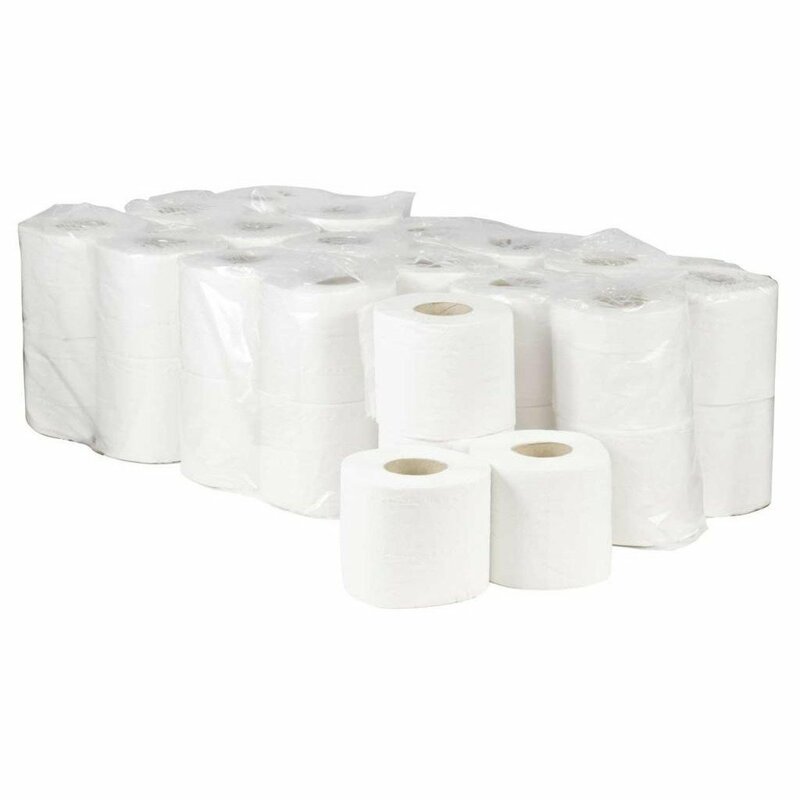 These 200 sheet toilet rolls are ideal for schools, colleges and hotels. Each roll has perforated sheets for every tearing to help save on wastage by letting you use only what you need to. Q. Are these toilet rolls soft to the touch? A. Yes, these are soft touch toilet rolls.